We all know the feeling of jumping onto your brand new mattress for the first time. The unique, second-to-none feeling of absolute comfort. We all love the feeling of a new mattress. However, like anything mattresses age, and before we know it they’re left to collect dust while the new and improved mattress takes the old’s place. If you have old mattresses lying in the garage collecting dust, it’s time to consider having it removed. Not only will you be saving space, but you’ll also be avoiding the thought of having to think about dust mites feasting on your unwanted dead skin. Disposing of mattresses if what we do best. 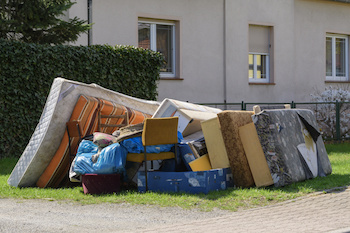 Our team will arrive at your property, collect your hmattress and have it properly disposed of. Can you put a mattress in a dumpster? Getting rid of a mattress can be a challenge. 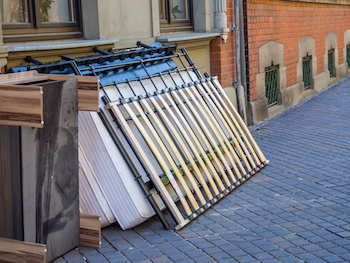 As much as it may seem like a good idea to put a mattress in a dumpster or near it, it isn’t. Mattresses are too big and bulky to be placed properly in a dumpster. They will need to be broken down into bits and pieces before you can properly dispose of it. However, this takes a lot of time and effort. There are much better ways to get rid of an unwanted mattress. 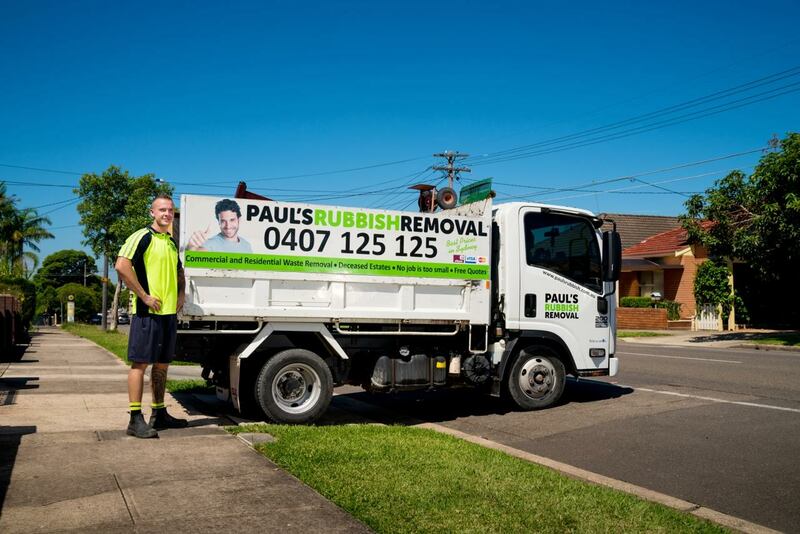 Luckily for Sydney-siders, Paul’s Rubbish is here to take care of all your mattress removal problems! Yes and no. Depending on the condition of your mattress and the charity, most will be happy to receive your mattress. You should note that due to the possibility of bed bugs and their impacts in old mattresses, it may be difficult to locate a place that will accept your mattress donation. In the case that you do, you will need to figure out how to transport the mattress to them. This may involve hiring a van, truck or a service to do it for you. Most families typically store their mattresses and don’t think about removal until absolutely necessary. Others will wait for a council hard rubbish collection day and throw them out then. However, have you considered the fact that leaving a mattress out in the outdoors may attract unwanted rodents such as rats – especially if it rains? This is something that you definitely want to avoid at all costs! Attracting pests to your house would later cause inconvenience. Mattress removal is something that most of us will have to face. It’s important to have a removal plan before the actual day arrives. There are some charities that will accept your mattress donation. You may choose to donate your mattress to The Salvation Army or smaller charities such as Generous and Grateful depending on the condition of your mattress. 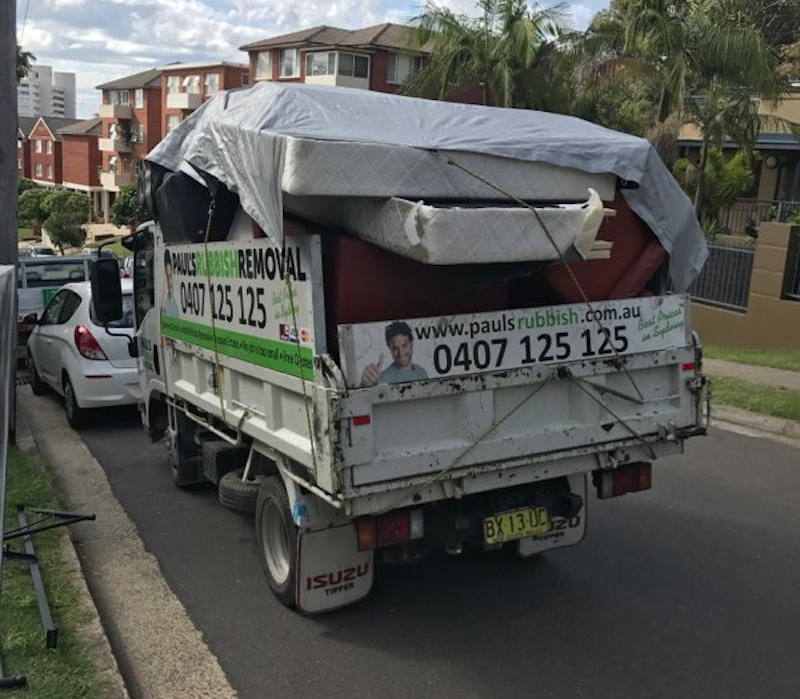 The simplest way of removing and disposing of your mattress is with a specialised rubbish removal service such as Paul’s Rubbish Removal. They are quick, cost-effective and will handle all the work for you such as hauling it, loading it and disposing of it so that you won’t have to lift a finger or worry about anything. Paul’s Rubbish Removal mattress service aims to provide you with simple and affordable mattress and bedframe removal and disposal. You just need to get in touch with us and we will take care of everything. No mattress how tough, big, small the job may seem. You can bet that our highly experienced team can handle the task. We also provide 24-hour removal service so that it is convenience for you. We are flexible to work around your schedule and pick up your mattress for quick and easy disposal. It is as simple as that! At Paul’s Rubbish, we can have your mattress removed without any fuss. No matter if you’re looking to remove a single mattress, queen-sized or even king-sized mattress – we have you covered. Our 10+ years of experience in the industry has allowed us to work to the highest efficiency. We make the removal process look easy! Have us dispose your old Mattresses today! When you call Paul’s Rubbish, you are backed by an experienced team. We have one goal, and that goal is to make your mattress removal experience flawless. We offer same-day removal for all urgent removals that needs to be gone by the end of today! We safely and reliably collect and dispose of your old mattresses for you. Just give us a call and let us know when you are ready for us to pick it up for you. When you make a booking with us, we’ll schedule the best time to pick up your mattress or mattresses. We are flexible to work around your busy day so that you can enjoy the convenience. Paul and the team will arrive with our truck and load your mattress in a safe and efficient manner.  We will also make sure there is no mess left behind, meaning we will always clean up after ourselves. Got a king-size bed that you don’t need? Queen-size bed you need to get rid of? Double-size bed that needs disposal? Or even a single bed that is old and needs replacing? We’ll handle it all for you! Don’t let your old mattresses take up valuable space, have them removed once and for all with Paul’s Rubbish! Call us today on 0407 125 125 for a FREE mattress removal quote!